In a nutshell it’s the most comfortable sleep surface out there. You’ve probably seen the ads touting that it was developed by NASA. It’s true it was created by the same brilliant people that brought you cordless drills and freeze dried ice cream. 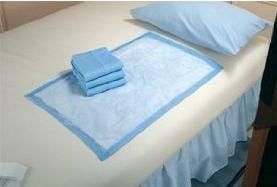 Memory foam is used in all sorts of products from medical equipment to bedding. But what makes memory foam so great? Simply put, memory foam conforms around any weight that is placed on it. This means when you climb into bed at night those areas that concentrate weight such as hips and shoulders get more cushioning than they would with any other type of bedding. Another great benefit of memory foam over other bedding is durability. With a traditional mattress the coils and springs wear out over time. Memory foam is just a solid chunk of foam. There’s nothing to wear out. With proper care you will never have to replace a memory foam mattress. When you consider how many beds you might buy in your lifetime compared to the one time cost of memory foam it comes out a bargain! If you have trouble sleeping at night or are always waking up with a stiff neck, aches and pains then a memory foam mattress could help. Since the foam conforms to your shape you’ll stay nestled in a comfortable sleeping position all night long. Imagine waking up refreshed every morning instead of groaning and grabbing your lower back. Sounds good doesn’t it? Memory foam gives your body support exactly where it’s needed helping to relive any pinch points. Do you love your bed, but wish it wasn’t so hard to get into. Perhaps your bed sits a little lower than you want it to. When we’re young a bed’s height doesn’t matter, but as we age, it becomes much more important that we can comfortably get in and out of the bed. That means a bed that may have been a great height just a few years ago may be a little too low now. It can become painful getting down that low to get into bed and then trying to clamor your way out of it in the morning. But you don’t want to get rid of your bed. So, what can you do? Thankfully there are Clear Bed Risers – Set of 8 that you can purchase that will take care of the problem for you. This set of Clear Bed Risers – Set of 8 literally slides under the wheels on your bed frame and boost it up off the ground. If you just need a little boost (1 inch), only use four. Or you can double up the impact and use all eight, two under each wheel. When you first look at these you may think they won’t be able to handle the weight of a bed and people on it. Think again. Each of these clear plastic frames can handle up to 600 lbs of weight. And since they are clear, they are pretty much invisible and do not stand out. That the height is adjustable (just add more pieces) so you can flex how high the bed sits. 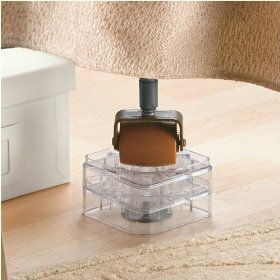 There is a rubber insert available that you can use to keep the bed from sliding on wood or tile floors. The groves will fit small or large wheeled bed frames because of the way they have been designed. Well I wish these had been around when my kids were little. Using a Buggy Bagg Shopping Cart Cover will go a long way to helping to protect your child from all the dangerous germs and other nasty greebies that lurk on unsanitary, unwashed shopping carts. In fact it covers 100% of the area where your child will be sitting. The Jungle patterned Buggy Bagg Shopping Cart Cover has a qulited liner that will give your child a cozy and comfortable cover to sit on instead of having them sit on the cold bare wires of the shopping cart. Operating the Buggy Bag is a simple one handed process which leaves your other hand free to manage your child. And when you have finished your shopping the cover zips up into a handy diaper bag which is machine washable. So as you can see, this cover is multipurpose, you can use it as a diaper bag, shopping cart seat liner and it can be used in most restaurant high chairs. 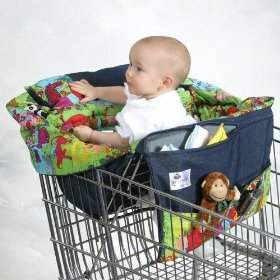 With its padded seat and detachable pillow the Buggy Bag Shopping Cart Cover keeps your child comfortable when you are out shopping. Plus it can be used for children in the infant stages right up to 4 year old toddlers. If your child gets sleepy while you are shopping they can lay sideways with pillow supporting their head or they can sit up and use pillow in front, behind or you can even detach it and remove it altogether. And as moms know when you have a small child you have all the paraphanlia the goes with taking them out. Well fortunately the Buggy Bagg Shopping Cart Cover has multiple pockets and compartments to carry those necessary diaper items. You needn’t be concerned about the safety aspects as the cover is equipped with safety belts both inside and out which will keep your child safe and securely in place. Where Can I Buy Buggy Bag Shopping Car Cover? 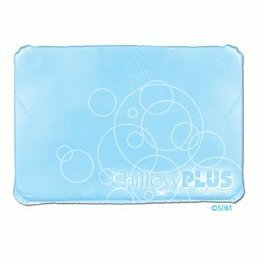 Made to fit inside standard pillow cases, the ChillowPlus Deluxe Cooling Insert uses SoothSoft technology with water to absorb and then dissipate heat back in to the air. The effect is a dry, natural cooling that can be used to comfort any number of aches and pains, including but not limited to: hot flashes, headaches, sunburns, fevers, back pain, sore feet, restless leg syndrome, chemotherapy and fibromyalgia. Unlike typical cold packs, the ChillowPlus is dry, not frozen and uses technology that’s non-toxic, requires no power and doesn’t contain a gel. Consumers who reviewed this product online were very pleased with the performance from the cooling insert and the low price, which is generally under $40. Because the product can continuously be reused, most customers felt like it was a good buy. A lot of customers who bought the product and reviewed it on websites say that they got the ChillowPlus Deluxe Cooling Insert to avoid hot flushes in the middle of the night and were satisfied with the result. While the product was made to go in a pillow case, some people found that sleeping with it under their head was uncomfortable and too cold, so they moved it around be near their feet or on their backs and found that worked just as well. Although one customer complained that the product was difficult to use, because they had to fill it with just the amount of water in order for it to be comfortable while most customers did not experience any difficulty with this. Those who purchased the product for muscle pain or body aches said that it didn’t offer as much comfort as a colder ice pack, so our conclusion is that the ChillowPlus is probably ideal for those who wish to remain comfortable throughout the night and avoid hot flashes, during menopause or when having chemotherapy but possibly not the best ice pack for everyday aches and pains. Where Can I Buy the ChillowPlus Deluxe Cooking Insert? I am a huge Al Pacino fan. 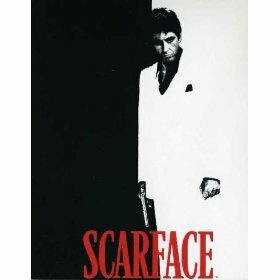 I think he is an amazing actor and who can forget his outstanding performance as Tony Montana in the movie Scarface, a film about money, power and extravagance. 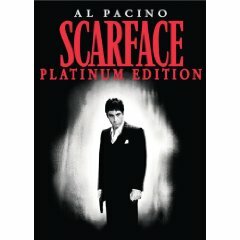 Al Pacino role of Tony Montana, one of the most ruthless gangsters ever depicted in a movie, is totally unforgettable. The fiberfill in the comforter is 100% polyester. two pillowshams measuring 20″ x 30″ each. 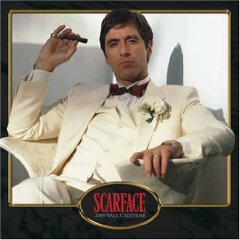 Where Can I Buy the Al Pacino as Tony Montana in Scarface Queen Sized Comforter Set ? Maybe you haven’t seen the movie yet, so do yourself a huge favor and buy the DVD. This is the platinum edition for all you fans out there. These Blue Disposable Underpads by Chux – Large Size 23 x 36 are designed to protect bedding, furniture or wheelchairs from accidental leakage. The pads are latex free and have a highly absorbent, embossed core with a soft, quick drying cover. The lower layer is designed to prevent leakage while the upper layer is soft and comfortable. These blue disposable underpads by Chux are ideal for when you are out and about and want to provide a comfortable surface for baby to lie on while you change them. They are equally functional when used to pop baby down to play as they will absorb any leakages that might occur so that carpets, rugs, couches etc don’t get ruined. The pads come in two sizes, the ones shown are the larger size measuring 23″ x 36″ so there is plenty of coverage. The blue disposable underpads – chux small size measure 17″ x 24″. WHERE CAN I GET THE BEST PRICE? This is way better than a nightlight. If your child is afraid of the dark then that dark space under the bed is a scary place. So light it up with Bed Effects Under Bed Lighting and then there is nowhere for goblins and trolls to hide. And you will be able to safely walk into the room to check on your child without tripping over toys and books as the floor is bathed in bright color. Your child will not only feel safe because there are no longer any dark spots under the bed, with the Bed Effects Under Bed Lighting, they won’t have a light shining in their eyes to keep them awake. 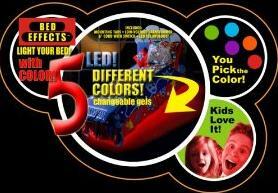 The Bed Effects light comes with 5 interchangeable colored gels in 5 hot colors and when the lighting is turned on the bed looks as if it is floating on a wave of light. The light reaches out and lights up the floor and the perimeter of the walls are also lit up in a sea of color. But the Bed Effects Under Bed Lighting is not only for littlies, tweens and teens will also love being able to light up their room with the bright colors giving the room a hip-hop street effect. And even adults can use the lighting to great effect by choosing a color that creates creating a romantic mood, plus it lets you see where you are going on the way to the bathroom without having to turn on the bedside or overhead light. The Bed Effects under bed lighting would make an excellent gift and one that would make you very popular with the younger set. Keeping your car organized when you are traveling with children can sometimes prove frustrating. But kids need to have their favorite toys and babies and toddlers have so many extras that can often end up under the car seats out of reach. Well no more! 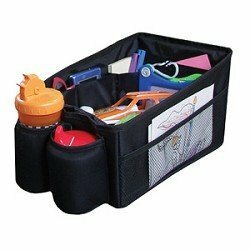 With the Sunshine Kids Travel Pal you will have all your childs toys and necessities organized in one the place. The deep cargo bin has a number of pockets that will hold everything you need to have with you to keep your little one amused. Ideal for moms on the go, whether you are going out to a playdate, grandma’s house or on a long trip the Sunshine Kids Travel-Pal is a must and it has been designed to help you keep your car organized. There are insulated drink covers and the travel pal has a waterproof interior so that drink spills will stay in the travel pal not all over the car seat. You can easily pop the travel pal on a side seat next to your child, in between two car seats, or you can even use it at home to stay organized. Simply pop the Sunshine kids travel pal into the car when you are ready to go. Where Can I Buy the Sunshine Kids Travel Pal – Organizer?